Belmont Quolis stools are made in Canada with the best quality components and craftsmanship for total durability & ultimate comfort. Adjustable seat height and ergonomic tilt provide dynamic performance zones. This improves weight distribution, reducing pressure on the back and thighs. 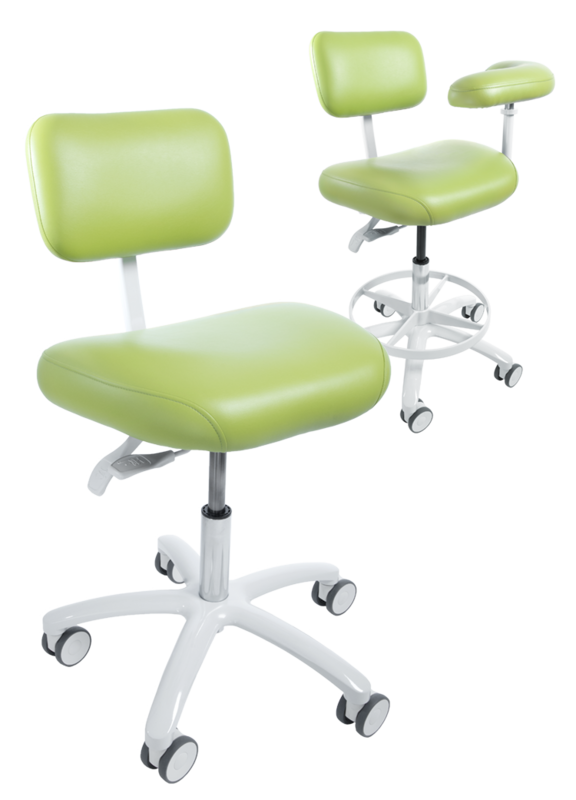 Contoured backrest can be adjusted forward and back to personalize your seating posture. Available in regular vinyl and ultra leather. Belmont Evogue stools are made in Canada with the best quality components and craftsmanship for total durability & ultimate comfort. Flexible Seating is achieved with multiple back, seat and body supports. 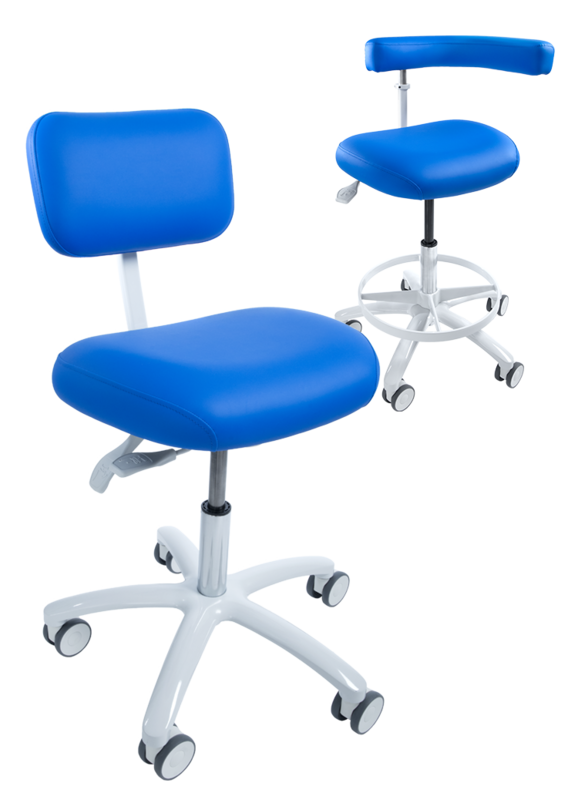 Comfortable and Versatile, Evogue stools provide balanced posture for your Dental Team. Available in regular and ultra leather upholstery.